The 2016 Kits are HERE. And they're PURPLE. Running Update: We've got runners out on the road for various events, including Beethoven's 5th 5K and recent St. Patrick's day events. Roadie Josh Speiser broke the seal on cycling for the season, jumping into the Ore Digger time trial and the Louisville Criterium. 9Seventy also repped at the Frostbite Time Trial in Fort Collins. With the warmer weather this spring, Mountain Bike Season has come early to Northern Colorado. 9Seventy will be jumping into RME #1: Ridgeline Rampage in Castle Rock at the end of April. Need some practice at skills and bike handling on the dirt? Want to throw a leg over the knobby bike and get some easier recovery riding in? Join Eric and Thomas for their Beginner/Intermediate MTB ride, weekly at 10:00am on Sundays. Group rolls out from the Blue Sky Trailhead. Some exciting things are rumbling with Rolf Prima Wheels...stay tuned. 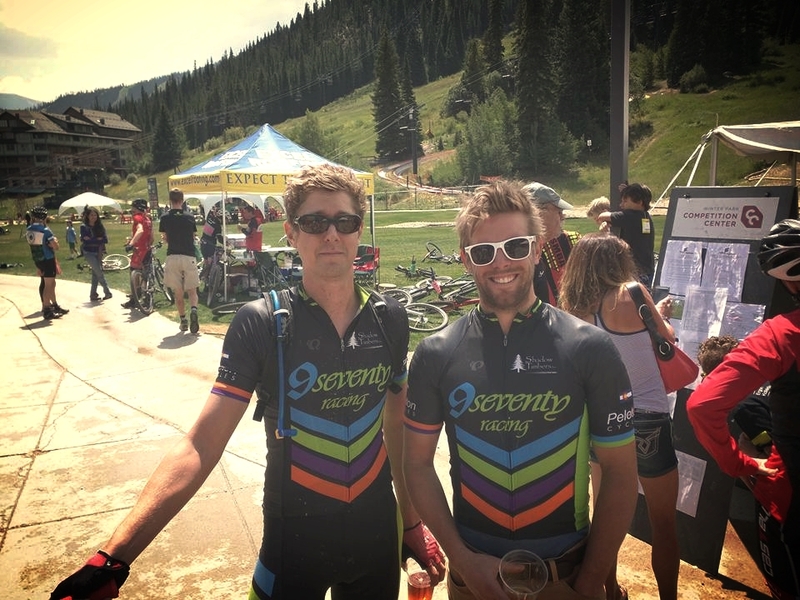 9seventy Racing is a Colorado multi-sport racing team founded in Fort Collins. Our athletes have a passion for racing, and we strongly believe that competing and achieving individual goals represents a path to personal growth. Our disciplines include, but are not limited to cycling, running, triathlons and snowsports. Our athletes participate in events that cover the spectrum, ranging from local grassroots races to international Ironman competitions. Our current roster includes triathletes, transAmerican riders, ultramarathon runners, cross country skiers and cyclists involved in road, mountain, and cyclocross races. 9seventy Racing athletes embrace a "lifetyle of racing" and welcome athletes of all skill levels and backgrounds. We get faster, fitter, and have fun together! Our athletes are committed to a fun, friendly and supportive environment that also encourages team members to push themselves to their limits, while also trying new endurance sports, building community and mentoring new athletes. The team commitment also extends to promoting health and wellness throughout Northern Colorado by initiating and supporting athletic events, raising awareness about endurance sports, and contributing to the community through clinics and volunteering.